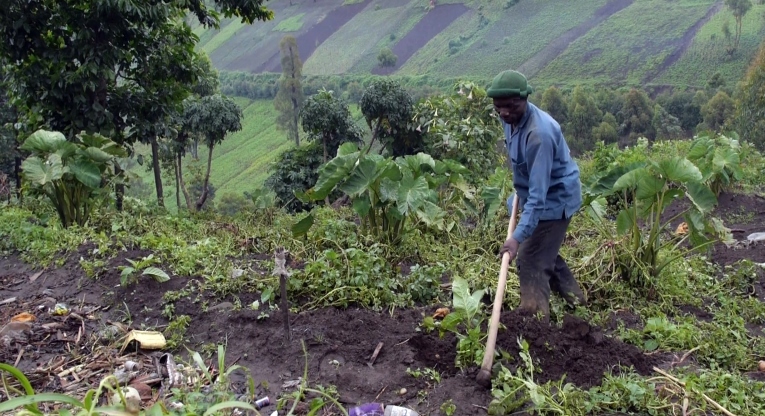 In the territory of Lubero, situated in the eastern part of the Democratic Republic of the Congo, Finn Church Aid (FCA) is working to improve food security and civil protection through a project funded by ECHO, the European Community Humanitarian Office. The population in South Lubero is mainly agrarian. Due to the security problems in the area, many farmers end up fleeing their otherwise productive land to seek refuge in more secure villages and towns. This has put a strain on the displaced and host communities likewise, who find themselves struggling to feed their families and dependants. A reduction in agricultural production, coupled with poor eating habits manifests itself in the form of malnutrition amongst young children. FCA seeks to address in cooperation with its partners the issue of vulnerability of the local population by strengthening food security. This is achieved through the increase of food production through agricultural activities and unconditional cash transfers to the most vulnerable households. Civil protection is another goal of the project. Active sensitisation of communities on children’s rights, and the rights of women, general human rights, HIV/AIDS, and sexual and gender based violence is carried out through guided and participatory discussions and training.